In the competition, Abhishek Verma remained the most successful among the lot by securing three medals in the compound division. The Delhi-based archer won the gold beating Korea's Jongho Kim 147-147 via shoot-off in the final and was also part of the men’s team and the mixed team which secured silver medals. The Indian team participating in the compound men’s team event, which had Rajat Chauhan, Gurwinder Singh, and Abhishek, lost to Korea’s Yonghee Choi, Jongho Kim and Taeyoon Kim 234-232. India's mixed team event comprising of V. Jyothi Surekha and Abhishek also lost to the Korean pair of Jongho Kim and Chaewon So 157-153. Parveena, Trisha Deb, and Jyothi Surekha secured the women’s team gold medal by beating Korea’s Bomin Choi, Yun Soo Song, and Chaewon So 230-227. Surekha also bagged the individual women’s bronze medal by getting the better of Ting-Ting Wu of Chinese Taipei 146-142. 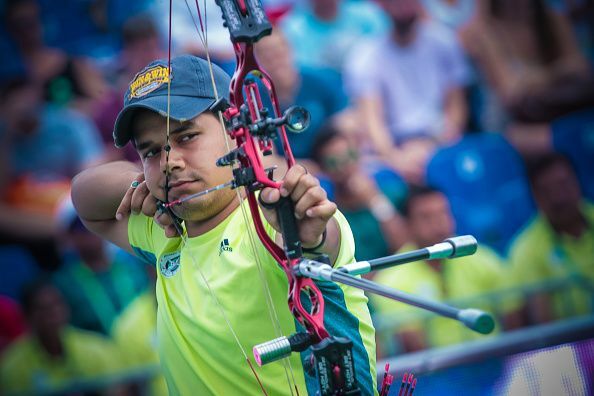 India’s lone silver medal came in the important recurve division after the trio of Yashdev, Jayanta Talukdar, and Atanu Das were defeated by the Korean team of Seungyun Lee, Seok Woo Lee and Jongho Kim 5-1. In the cadet section, Akash beat Dhiraj Bommadevara 6-4 in the final to win the men’s recurve title, while Himani got the better of Vietnamese Bayasgalan Badamjunai 7-1 for the women’s recurve bronze. The duo has also qualified for the Youth Olympics next year.